European tours for young adults is a right of passage for many. All it takes is a little preparation and guidance to get started on the European adventure of your choice. Bumming around Europe for a while has been a rite of passage for college students since the 17th century when upper-class Englishmen began setting out in horse carriages for a Grand Tour of Italy and France. The methods may have changed, but the desire remains the same – for young adults to soak up the cultural wonders of Europe before getting saddled with the daily stressors of real life. When it comes to student travel in Europe, a carefree attitude about where and when you sleep or eat will certainly come in handy. But with a little preparation, you won’t have to rely only on couch surfing and the kindness of strangers. Check out these tips, and you’ll be riding sleeper trains with just a backpack and a dog-eared guidebook in no time. We’ve all heard those urban legends about seeing the world on $10 a day, but we’re not all going to Mongolia either. That’s why even before deciding on a destination, students need to know how much money they have to play with. Once that’s set in stone, you’ll have a better idea of how long you can go and where you’ll end up. If you’re on a shoestring, you might need to steer clear of expensive Scandinavia and London, but that just opens you up to finding deals in Paris, Rome, Madrid or Berlin. The key is to maximize your time once you get there. So, you’ve settled on an itinerary and landed in your first city. Now what? A fantastic way to get your bearings is to find a free walking tour (just Google those words with the city name). The guides will work for tips, but you can get away with giving five bucks a person, which is a bargain for a little knowledge to go along with those sightseeing highlights. If you have a few more bucks to spend, a city museum pass or hop-on, hop-off bus tour might be worth it. Then don’t be afraid to ask around for advice. People are generally very nice and more than willing to help because they usually are proud of where they come from and like showing off their city. That’s how you’ll find out about the best bars, the best restaurants – the hidden gems. “If you ask the front desk person, or the person driving your Uber, they might have the best spot to see,” said Rogers. Also, consider taking the bus. Most European cities have great subway systems, but with apps like City Mapper you can opt to get around town above ground and see everything along the way. Buses between cities can also be cheaper and sometimes even faster than trains. Check out Rome2Rio.com, where you can plot out the cheapest or quickest way to get from place to place. No matter where you end up, bring earplugs. Often hostels or cheap hotels are in busy areas with a lot of bars, which is great for going out at night but terrible for your mood the next day. Another thing to keep in mind is a lesson in street smarts. In most European cities, you don’t have to worry much about safety, but you will need to keep a good head on your shoulders. You’ll be all set if you act like you’re walking around New York City, where you wouldn’t wave hundred dollar bills around or leave your wallet sitting on a counter. And for a parting piece of advice, make sure to be flexible. Planning and doing lots of research is great and all, but often the most rewarding parts of a trip to Europe are the things you didn’t know existed until it was happening. Be open to places you wouldn’t have imagined you would ever go. Where did you travel as a student? 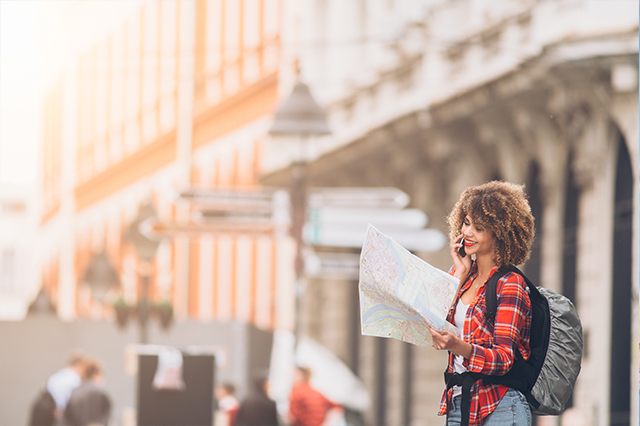 Share any advice for students looking to travel Europe in the comments below! Article tags: AAA, apps, best restaurants, cheap hotels, europe travel, flights, hotels, restaurants, safety, student, tours, travel, travel europe, travel in europe, trip, trip to europe, vacation.